I’ve Been Tagged in an Author’s Blog Hop! The wonderful Nancy Viau tagged me to answer 4 questions about my writing. She answered on her own blog, and I have to answer the same 4 questions here. After finishing final edits on three new books this year, I am in that wonderful place where I am picking a project to focus on next. Usually, it is either setting or character that speak to me when I’m getting started. So, I’m listening carefully just now. Can’t wait to see what voice calls the loudest! One of the projects I’m considering is a middle grade novel, my 4th, which right now is in verse. Most middle grade novels are not written in verse, but for some reason, the main character’s voice came to me in very short, very deliberate phrases, which seemed to fit well into verse. I write because when I’m not writing, I’m usually thinking about what I could be writing. The hardest part of writing is being patient. A writer must be patient enough to know that a first draft is never a great draft. And tenth drafts don’t come without writing the first nine. A writer must be patient enough not to submit too soon. A writer must be patient enough to wait for agents and editors to respond. And, then, after a sale is made, an writer must be patient enough to get through edits and production. But the good news is: While a writer is doing all that writing, she can – WRITE! 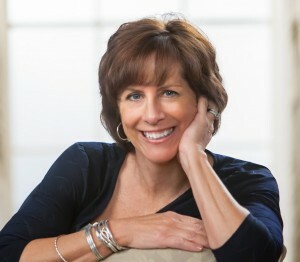 Nancy Viau is the author of LOOK WHAT I CAN DO! (Picture Book/Abrams Books for Young Readers, 2013), STORM SONG (Picture Book/Amazon Children’s Publishing/formerly Marshall Cavendish Children’s, 2013), and SAMANTHA HANSEN HAS ROCKS IN HER HEAD (Middle-Grade Novel/Amulet Books, 2008). She is a member of The KidLit Authors Club—a regional marketing group she started that consists of published authors who bring interactive book parties to bookstores, libraries, festivals, and conferences. 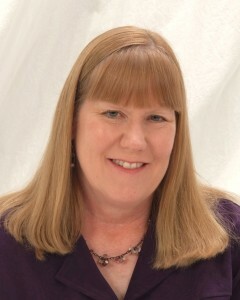 You can read how Nancy answered the Blog Hop questions at: http://nancyviau.blogspot.com. So now it’s time to hop. Hop on over to visit my friends Debra McArthur and Natasha Yim to see how they answer the questions! Debra McArthur grew up in Springfield, Missouri, where her high school experience included church activities, choir, drum and bugle corps, and the kind of drama and angst that make a person really glad to grow up. She earned B.A. and M.A. degrees in English from the University of Missouri-Kansas City, and an M.F.A. in Writing for Children and Young Adults from Hamline University. These days, Debra lives with her husband in Kansas City, Missouri. She teaches college along the bluffs of the Missouri River, and she is still collecting nouns that describe her: student, teacher, wife, mother, reader, writer, Irish dancer, marathon runner. 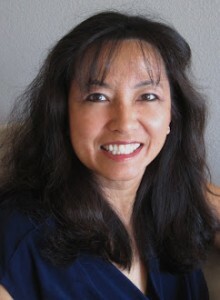 Natasha Yim is the author of 4 picture books: Otto’s Rainy Day (Charlesbridge Publishing, 2000); Cixi, The Dragon Empress (Goosebottom Books, 2011), Sacajawea of the Shoshone (Goosebottom Books, 2012) and Goldy Luck and the Three Pandas (Charlesbridge Publishing, 2014). She is currently working on another picture book and a young adult novel. Thanks for hopping with us! I hope your hops take you to some interesting places. Need a Little Drama in Your Day?